The weather looked better in the East so headed out that way, via the Falkirk Wheel, across the Kincardine Bridge and on to Culross in Fife. 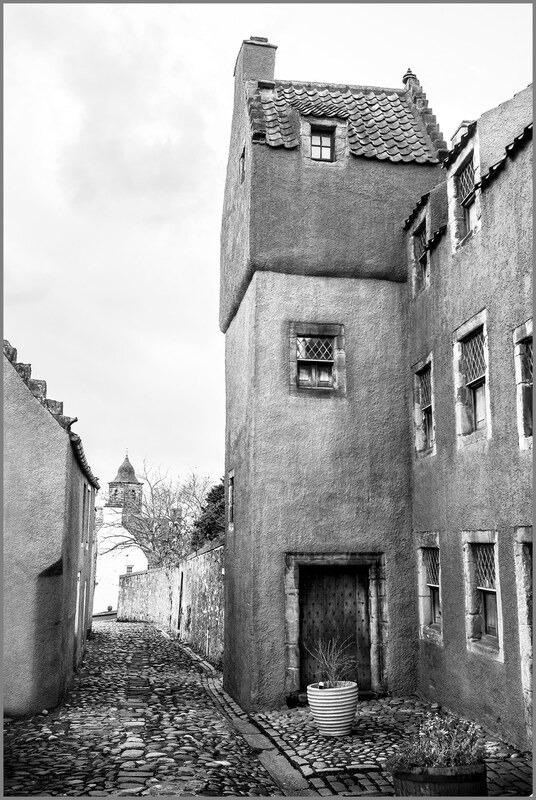 This 16th/17th century village is a Royal Burgh of Fife and is home to just under 400 people. 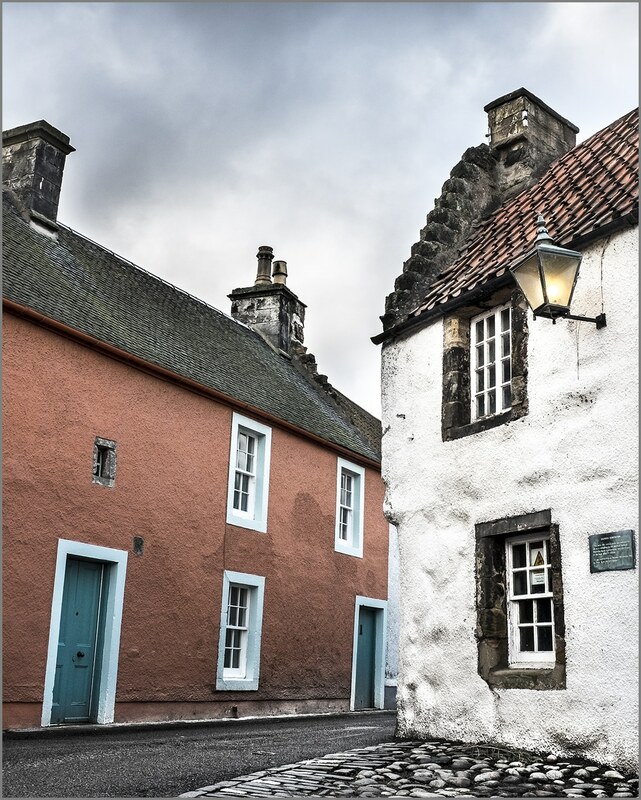 It has a Palace which has been restored to its original mustard colour and narrow cobbled streets edged by white, pink,yellow, blue, green or grey houses and cottages.